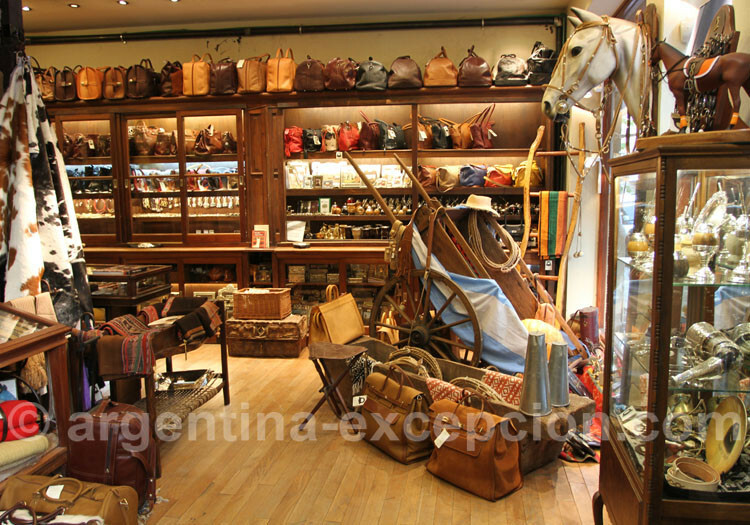 The most beautiful gaucho, horse riding, antique and goldsmith’s stores in Buenos Aires, Argentina. 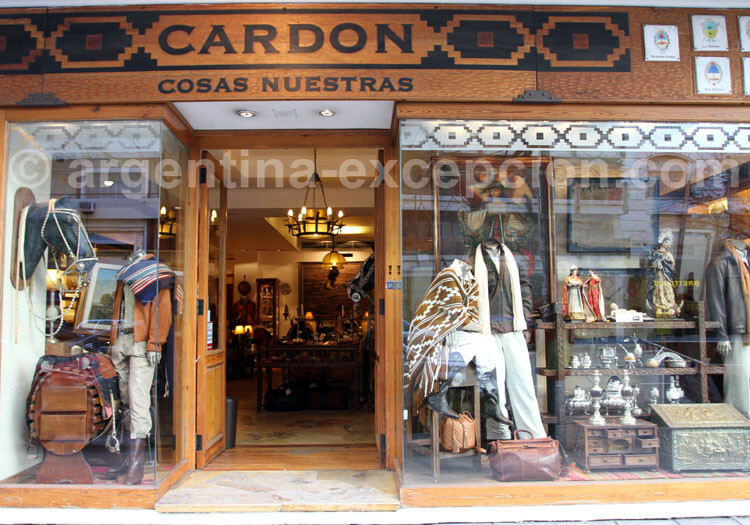 A well-known Argentinean clothing brand, Cardón presents new high-quality collections every year. 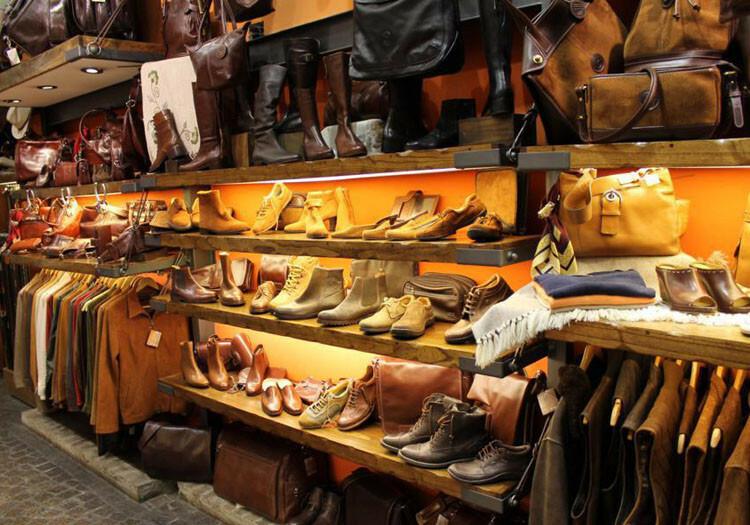 Created in 1988, it offers a wide range of classical clothing, leather goods and “criollo” silver articles. Addresses: Av. Alvear 1847 – Tel: 4804-8424/4804-8424. Florida 986 – Tel: 4312-6556/4312-6556. 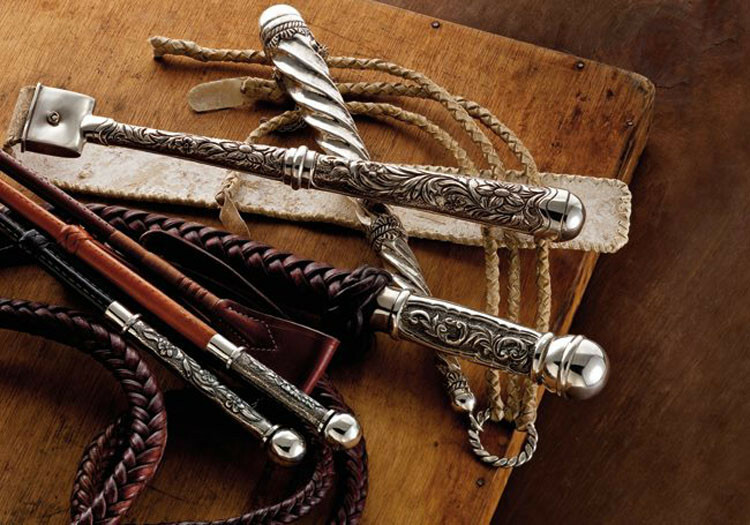 The store catalogue offers a complete range of craftworks including clothing, equestrian gear and several silver items. Addresses: Florida 953 – Tel: 4312-3564/65. Florida 753 – Tel: 5555-5307/5555-5307. Av. Santa Fe 909 – Tel: 4893-9300/4893-9300. Created in 1995 by Adolfo Cambiaso, one of the best polo players in the world, La Dolfina is a polo team that has launched their own clothing line. Today the store offers a high-quality collection. Addresses: Av. Alvear 1315 – Tel: 4815-2698. Marta Salotti 454, Dique 2 Puerto Madero – Tel: 5787-5152. The sponsor of one of the biggest polo clubs in the world, La Martina offers a wide range of polo clothing and gear that outfits the most famous polo players and their horses. The classical and sporty style of their collection is designed for customers of all ages. Addresses: Av. Alvear 1920 – Tel: 4807-7557/4807-7557. Arribeños 2632 – Tel: 4576-0010/11/12. Av. Santa Fe 1619 – Tel: 5811-1556/5811-1556. Costa Rica 4677 – Tel: 4832-1323/4832-1323. The origins of this brand, synonym of quality and innovation, date back to 1868. The royal families from Spain, Holland and Japan, chiefs of state, artists and tourists from all over the world have been there. 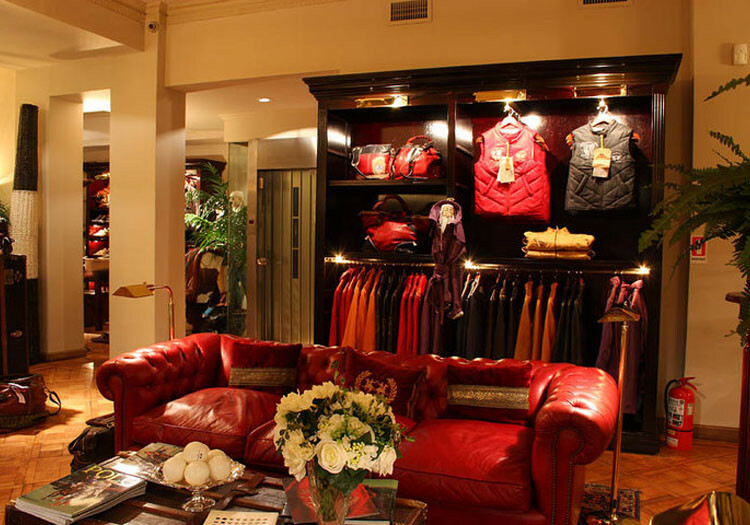 At the heart of Recoleta, the house Rossi & Caruso combines design, textures, colors and sense of detail to highlight the quality of the best argentine leather, their great passion. Address: Av Santa Fe 1601 – Tel: 4811-1965. Since 1970, La Casa de las Botas has become a reference for excellence in all equestrian disciplines. The quality of their handmade work and the exclusive models are offered with a wide range of colors. 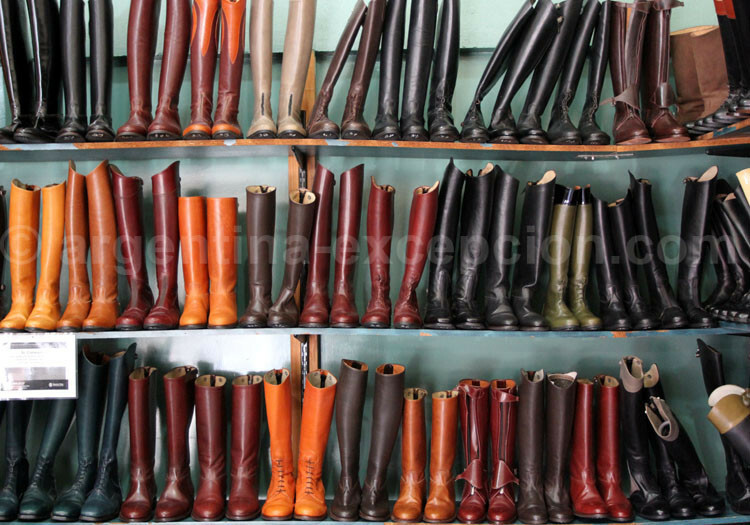 You will find there all kinds of boots, polo and equitation ones among others. Address: Paraguay 5062 – Tel: 4776-0762. 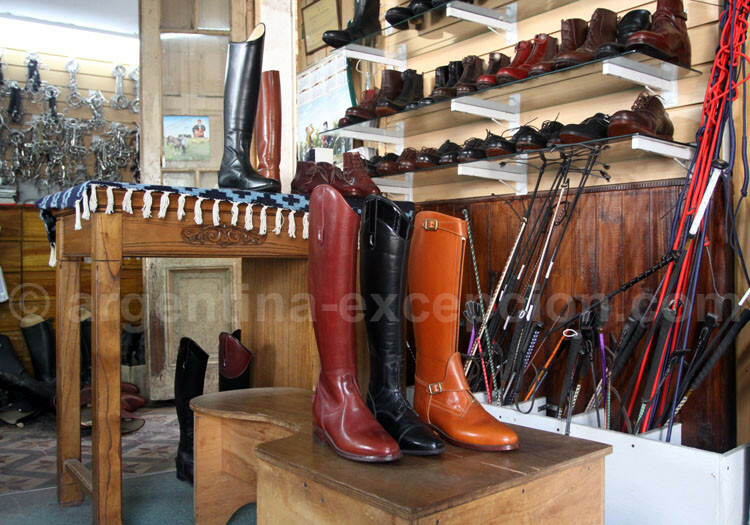 This small boutique, in the residential Belgrano neighborhood, offers a large range of equitation boots: riding, jumping, training… Casa Walton is a good and old address for equestrians in Buenos Aires. It is a reference regarding tailor made boots. There you will find boots at your feet! Address: Montañeses 2705 – Tel: 4787-1739. Ayacucho 1924 – Tel: 4800-1575. Talcahuano 949 – Tel: 4816-1281. 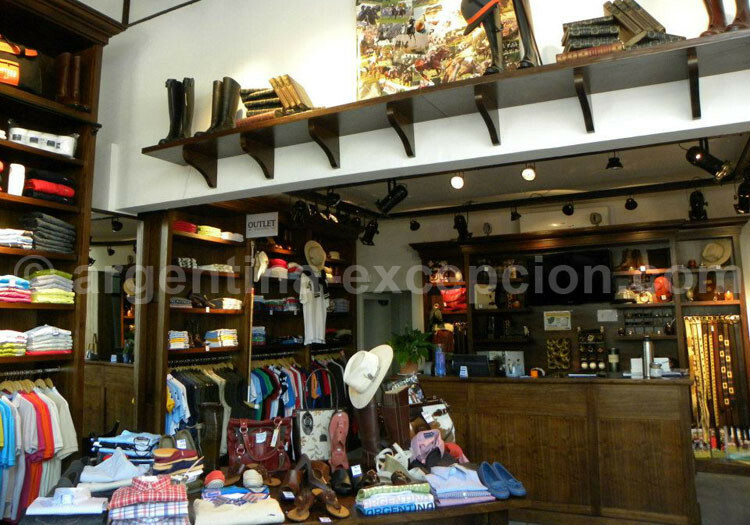 Logi Polo House is a saddle place specialized in the making and restoration of polo sticks, saddles, reins and all the necessary equipment to practice polo. 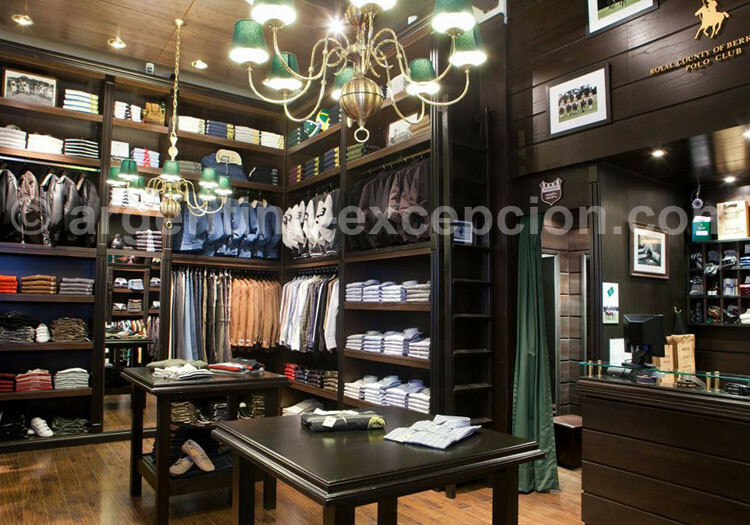 In 1978, Oscar Lopez, with his experience at Lacey & Sons, the first polo shop in Argentina, decided to launch Logi Polo House. Its products are made by experienced artisans. You can get your products in Argentina or send them abroad. Oscar and his sons will guide you to make your best choice. Address: Ruggieri 2745 – Tel: 4665-6651. 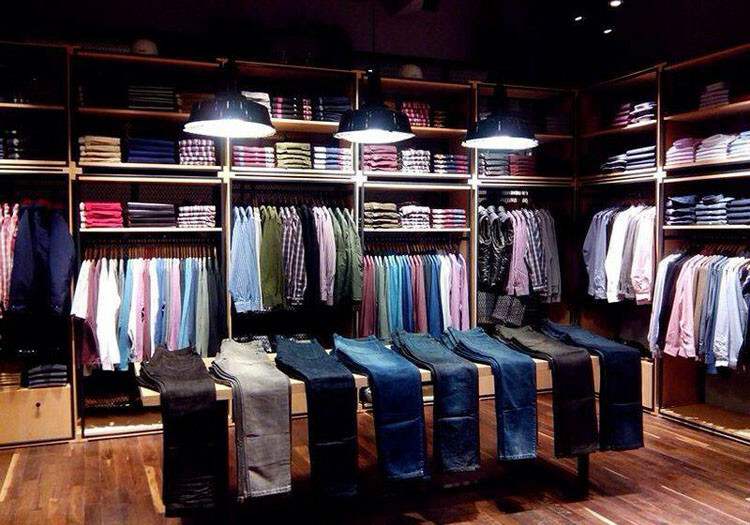 Specialized in polo outfits, this brand sponsors the renowned polo player Bautista Heguy. It presents a collection of articles to outfit players and their horses according to their specialties, such as jumping or endurance. Addresses: Paraguay 616 – Tel: 4314-2440. Marcelo T. de Alvear 628 – Tel: 4312-7104. Av. Santa Fe 1240 – Tel: 4813-2684. 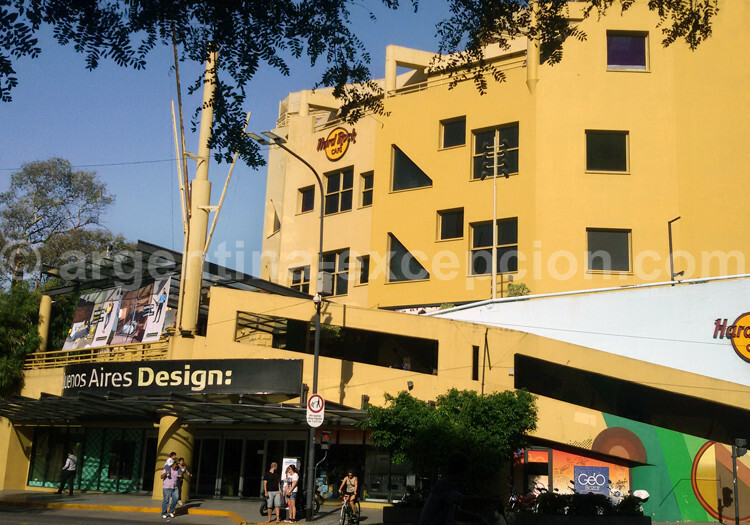 Buenos Aires Design is the only shopping mall entirely devoted to Design and decoration. Many services are offered such as the free delivery to your hotel, parking and tax free. Do not miss the 3.000m2 terrace with the best view of Recoleta and its restaurants. On three levels, this shop is very close to the auditorium of Buenos Aires, the Museum of Fine Arts and the Recoleta cemetery. Address: Crossroads between Pueyrredon and Azcuenaga – Tel: 4779 1239. In the neighborhood of San Telmo, while walking on its cobbled-stone streets, you will discover interesting shop arcades selling antiques or second-hand goods. Starting at Plaza de Mayo, Defensa Street will take you to Plaza Dorrego. This street was first used for the transportation of fruits and other merchandise. With time it has become the most visited street in San Telmo. Addresses: Defensa 961 – 849 – 832. 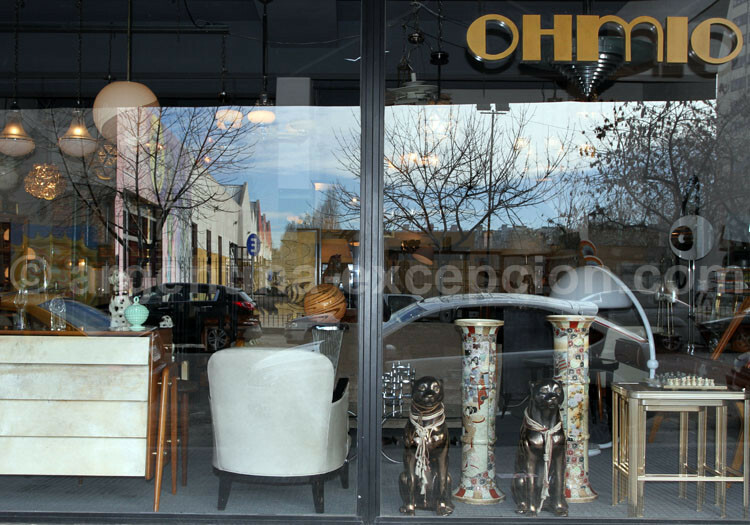 Since the year 2000 and at the heart of the original Palermo, its owners, arquitects and design and antiques designers, opened a shop with their favorite goods, where modern and old coexist. 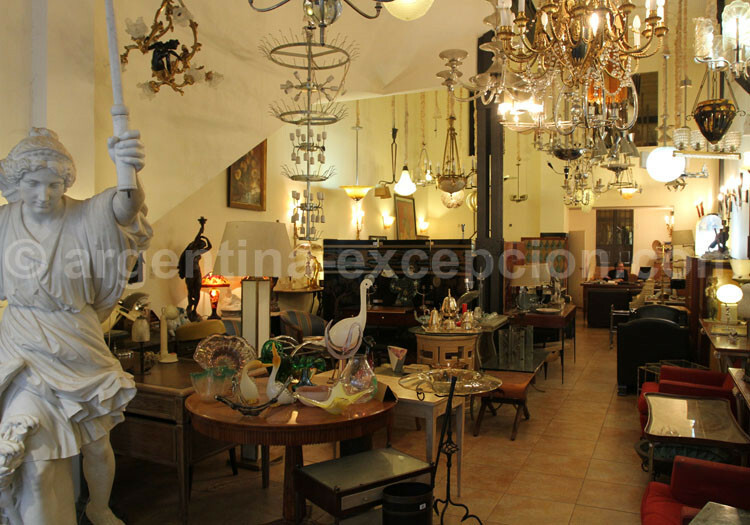 There you can find Murano lamps, Czech crystals, opalines, and also all sorts of furniture and metals. Opposite you will find Buenos Aires flea market. Address: Alvarez Thomas 84 – Tel: 4779 1239. 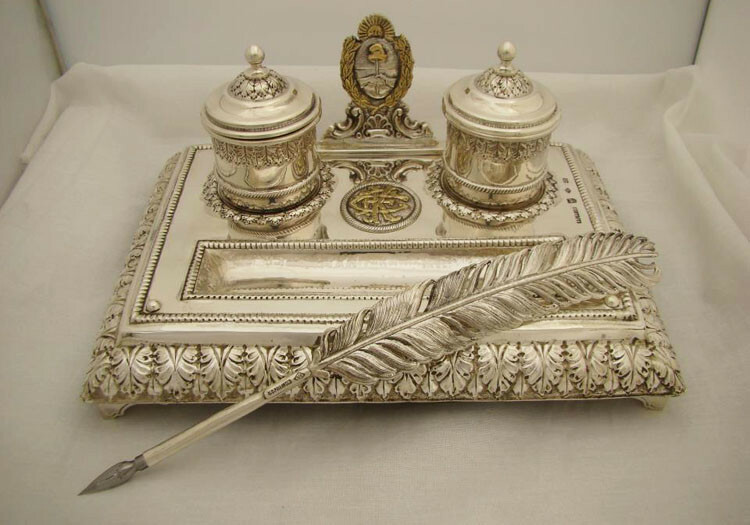 Goldsmith’s art is a family tradition for the Pallarols. Father and son skillfully handle hammers to create magnificent silver art pieces. Address d’Adrian: Marcelo T. de Alvear 462 – Tel: 4313-2663/4313-2742. Address: Humberto 1o 458/462 – Tel: 4362-0841.